MAPUTO, Mozambique/GENEVA, 30 June 2017 - Amid worldwide commemorations of 500 years of the Reformation, the Evangelical Lutheran Church in Mozambique (IELM) recently celebrated its commitment to women’s participation and leadership in the church by ordaining two more women as pastors. 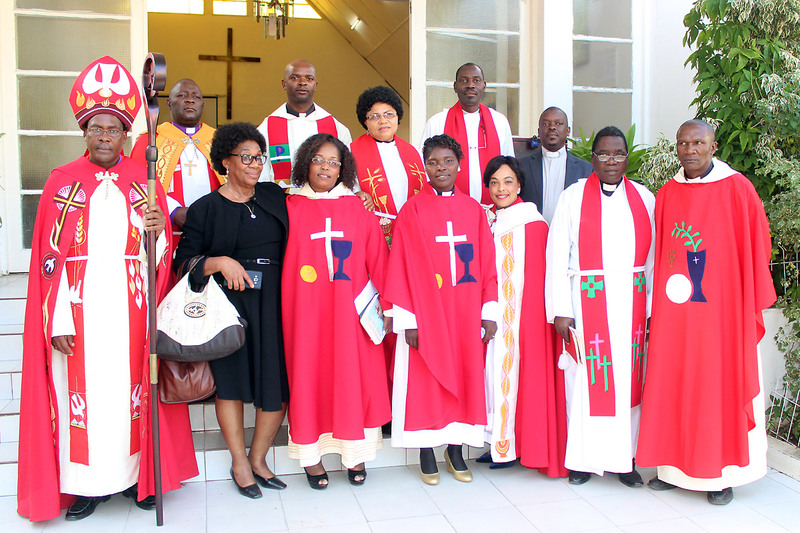 IELM Bishop Eduardo Sinalo presided at the ordination of pastors Rosa Minoria Rafael and Zelda Cristina Cossa at the Martin Luther Church in Maputo city on 4 June. This was the second time the nearly 30-year-old church has confirmed women into the ordained ministry. “It is a great honor and blessing from God to me to be among the women ordained by the IELM, most specifically in the year that the Christian Protestant family around the world is commemorating 500 years of the Reformation,” said Cossa. “It brings great and new hope for me and for the IELM. I will serve in my ministry with no fear but will humbly respect the people I will be serving out there in Lionde village in Chokwe district, Gaza province,” added the 35-year-old pastor, who studied at the University of KwaZulu-Natal at Pietermaritzburg, South Africa. Rafael, 30, noted “ordination means I have accepted the pastoral ministry and will dedicate my life to the service of the gospel in the church and the world.” She completed her theological training at the ecumenical seminary in Maputo, Seminário Unido de Ricatla. 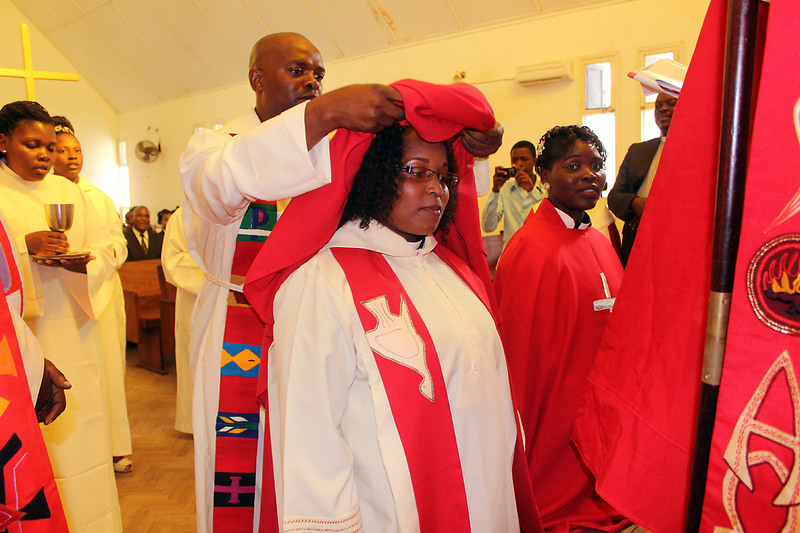 In September 2013 IELM ordained the first women in the church, Rev. Elisa Cuniua and the late Deaconess Argentina Ngamba. Cuniua went on to serve as a pastor in the northern district of Moma. It is a great honor and blessing from God to me to be among the women ordained by the IELM, most specifically in the year that the Christian Protestant family around the world is commemorating 500 years of the Reformation. The more than 150 people at the ordination service included retired IELM Bishop José Mabasso and Rev. Marcus Macamo, general secretary of the Christian Council of Mozambique. The Lutheran World Federation (LWF) regional networks were represented by Ann Mokhino from the Lutheran Communion in Southern Africa (LUCSA), and Rev. Verah Rapoo and Rev. Lilana Kasper of the Women in Church and Society (WICAS) group. Founded in 1988, the IELM has 12,606 members in 111 congregations throughout the southern African country. An LWF member church since 1999, it has 17 pastors, including the two women ordained this month. The main focus of its ministry has been diaconal service, evangelism, Christian education and work with those affected by HIV and AIDS.